Is a virtual simulation of the game 'hide and seek'. It is very basic and simple, I have created it with the help of my 5 year old son Pablo. The gameplay is similar to the real game, one is 'it' and not look while hiding others. When all have been hidden is the turn of searching. You can play alone, with friends, or with virtual friends. 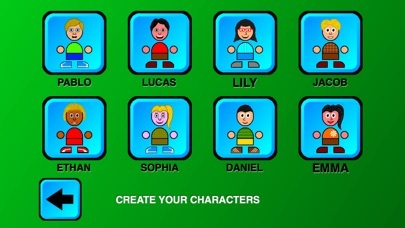 For this we have a character editor, so that you can create your friends, family and yourself. 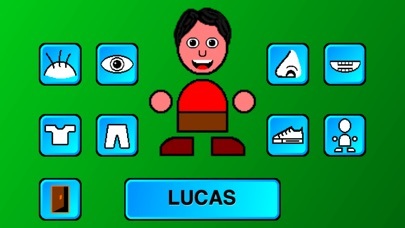 At the time of playing, you can select from 2 to 8 players, and can be handled by people or the computer. 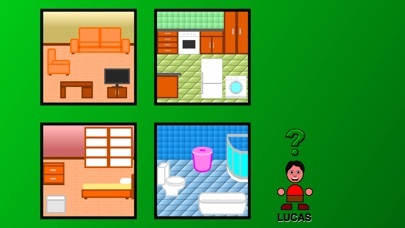 The gameplay is based in a virtual house with 4 rooms and 4 sites in each room to hide. Written by my 7yo daughter: This game is awesome, but one little thing - before the next update, I just wanted to point out there is a jail cell for the ones that you find, and I think that's a little bit mean and a little bit scary. So in the next update I would like you to remove the finish line and the jail cell and just put a box where the children are. Roly Poly Toy, doll for babies. Twentris HD, blocks and numbers.